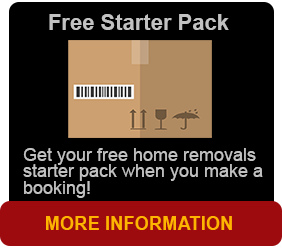 If you are looking for Brisbane to Sydney removalists, look no further than Brisbane Removals and Storage. Our Brisbane to Sydney removalists enjoy their work and now we are going Sydney to Brisbane and Brisbane to Sydney once a week. Brisbane to Sydney removalists are the premier experts when it comes to home relocations, shop and office removals and corporate moves in Brisbane, Sydney, and interstate. We offer packing and unpacking services and furniture removals and storage that is organised by our friendly staff in administration. With years of experience in domestic relocation, corporate, commercial, and contract removals throughout Brisbane, Sydney and Melbourne, our trained crew has the expertise to handle any job put in front of them. 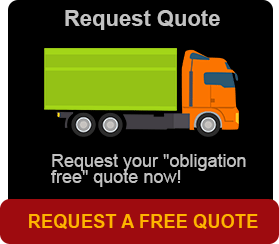 Sydney to Brisbane removalists guarantees satisfaction to customers every time. Swift hassle free service to and from Brisbane on a weekly basis. If you are looking for even a backload we can always help you with that. Our removalist team will work hard to ensure that moving house is as hassle free as possible. If it’s furniture from one room, an apartment, a townhouse, or relocating a three storey house interstate, we can get it organised. We are the ones to get the job done. Business relocations often sometimes require diligent planning and a well oiled approach to business at hand. We understand that in the entirety of the move we often know we will be handing expensive equipment, heavy furnishings computer workstations and other items of extreme value. We make it our utmost priority to handle your items with care, ensuring that the contents of your office will be shifted in a way that is responsible, safe and secure. We understand just how precious your furnishings are, and we know that we will often be totally responsible for handling your treasured possessions. We take that responsibility quite seriously. Although we work efficiently all the time, our professional furniture removalists will handle the loading and transport of your treasured possessions with care. Our interstate removals service means our cheap residential and commercial Brisbane to Sydney removalists can relocate your home, office, and from Canberra, Sydney and Melbourne to most major cities on the eastern seaboard, including Sydney, Melbourne, Adelaide, Brisbane and the Gold Coast. Whether you need to shift a few items, Brisbane to Sydney removalists is your answer. Whether it is to move an entire household, or a hardworking trained removal staff to help with office relocation, you can trust our team of professional and very affordable interstate removalists in Brisbane, Sydney and Melbourne to get the job done quickly and efficiently. Our team put our customers first. Your experience with Brisbane removals and storage is our primary concern to all our staff members. That is why our hardworking team continually striving to ensure your relocation is smooth and efficient, whether you’re moving house from Sydney to Brisbane or your office is relocating elsewhere. We have the necessary equipment in all these facets of removals. Other residential and commercial removal companies do not come close in what we offer the customer. We provide personalised service and are committed to looking after every question to make the client at ease at all times. Our reliable team of removalists will always arrive on time and get the job done quickly and carefully. We provide a level of customer care that you might not expect from such a dependable removals service. To find out on what we have to offer or to get a free quote, contact us Monday to Friday from 7.30am till 4pm on 1300 769 467.